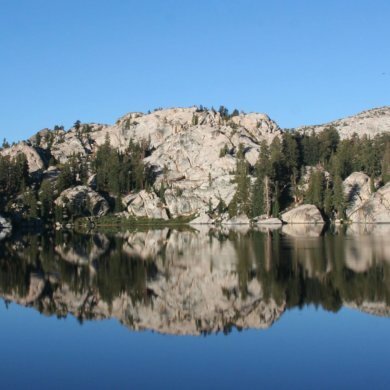 I’ve started looking for ways to save time on the water when I’m fly fishing so I can maximize my fish-catching opportunties. If you have just one weekend, one day or one hour left to fish, wouldn’t you rather spend it casting flies rather than tying them on? The Smith Creek Rig Keeper will help you spend more time with your line in the water. So what is the Smith Creek Rig Keeper? 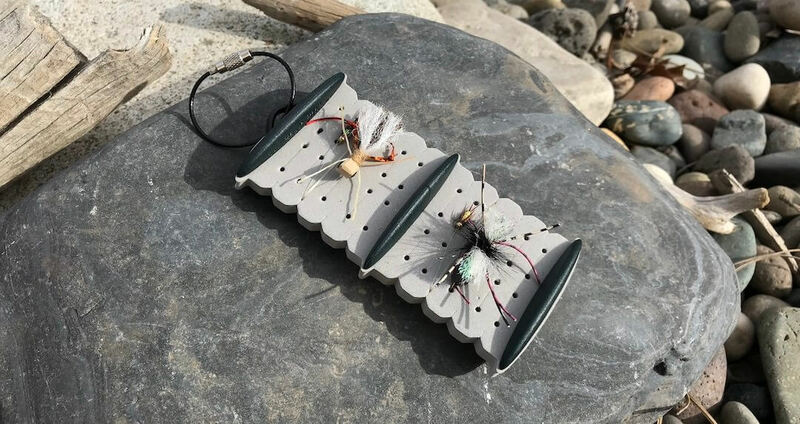 It’s an ingenious little fly fishing accessory that is essentially just a foam patch you can wrap dropper rigs around to save them for later. If you’ve ever stuffed a perfectly good dropper rig into a pocket or pack and ended up with a tangled mess or your droppers hooked to the fabric of your vest or sling pack, I should have your attention. If you’ve never switched out flies in the heat of the moment and lost a perfectly good dropper rig to tangles or have accidentally zipped over your dropper rig tippet, you’re awesome. Move along. 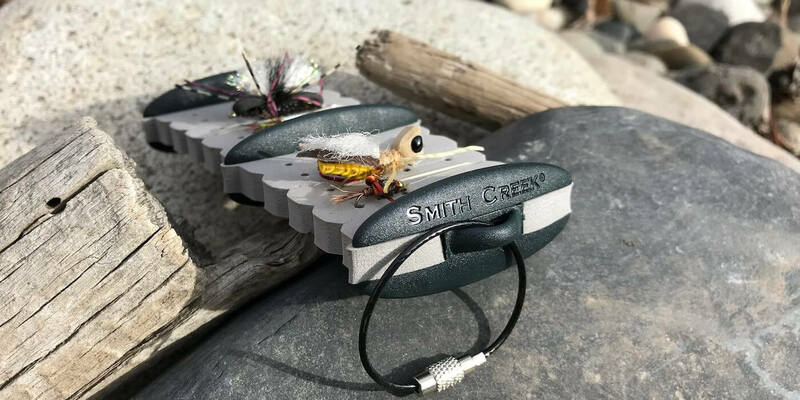 If you have, the Smith Creek Rig Keeper will help get your flies back into the water faster than before. The Smith Creek Rig Keeper lets you carry and easily reuse dual-fly dropper rigs. I saw the Smith Creek Rig Keeper late last year — and I promptly bought it. I haven’t had a chance to put it to work on the water this season, but I figured this information is worth sharing right now. 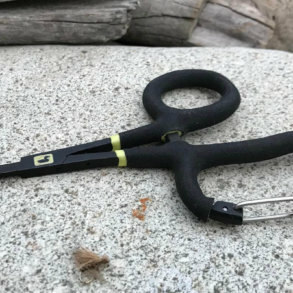 So here it is: If you fish nymph and dropper rigs — which is basically when you attach one larger fly to the end of your tippet and then use 8-to-30 inches or so of tippet to tie another smaller fly to the bend of the hook on the larger fly — you need to get some sort of dropper rig accessory solution. The back side of the Smith Creek Rig Keeper with two rigs attached to the front. Right now, I’m a fan of the Smith Creek Rig Keeper. Say, for example, that you’re fishing with a hopper pattern with a small ant dropper hanging 20 inches down below it. The combo was working an hour ago along the banks of a river, but now you’re facing a deep run that’s ripe for two weighted nymphs instead. You clip off the hopper, keeping the ant dropper attached. 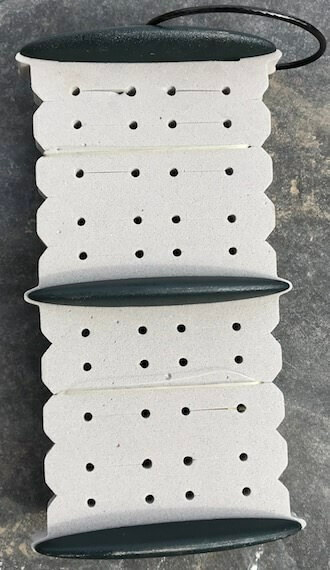 Next, attach the ant dropper to your Smith Creek Rig Keeper and wrap the fishing line (tippet material) around the foam patch until you reach the end, whereupon you stick the hopper hook into the foam. Nice and tidy. Now tie on your weighted nymph rig and catch some fish. Move along and keep fishing. Suddenly you spot a big trout feeding along a bank with overhanging bushes. You snip off the weighted nymphs, wrap them around the Rig Keeper and use the previous hopper-ant dropper setup for this situation. Boom. You just saved a few minutes of time on the water and gained at least 6-12 more casts that you might have spent tying on a hopper and then tying on another ant dropper. Or you might have just thrown a single hopper and reduced your odds of attracting the trout. As for design, there’s a couple great features of the Smith Creek Rig Keeper worth mentioning. The black exposed plastic ribs help keep your flies from gettin crushed or torn loose. The little cable loop is stout. The size and spacing is good — you can fit eight dropper rigs on it without much trouble or risk of tangle. Look, there are some other dropper rig solutions out there — and you could even make your own. As for the Smith Creek Rig Keeper, it’s awesome. I wish I had it last year on the Owyhee where I threw a lot of different dropper rigs — I’m sure I would have caught at least a few more fish with the extra time. Very highly recommended. When you buy gear using links in our posts, we can earn an affiliate commission that helps pay for our work — see below for more detail.